m«^ this routine since 1972 and it's one of his most famous, having ap-J'r::z a wonderm, routine .his <S1 1, is a n^erpie? 't, psychologicalbamboozlemeni. The only thing yon have to do is talk and do a Double Ltft at the same time-— the spectators do the rest. To prepare, arrange the following three cards on top of a blue-backed deck, in this order from the top down: blue-backed Queen of Hearts, blue-backed Ace of Spades, red-backed Queen of Hearts, and the rest of the deck. 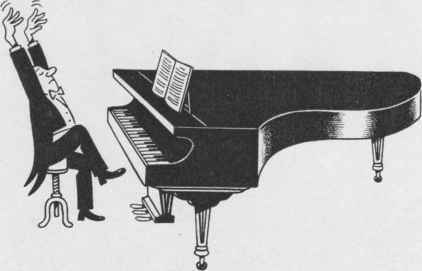 To perform, obtain a left pinky break beneath the top three cards. Say "Have you ever seen a trick done with only two cards? You've never seen one?" Your left thumb pushes over the top card about an inch, then your right hand comes over and grasps all three cards above the break. 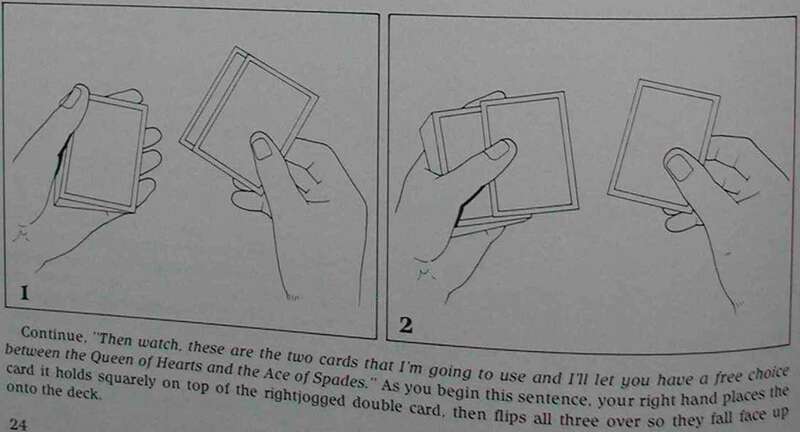 Take them off the deck, the upper single card spread to the right, as a gesture (fig.l).